Dealers have hundreds of companies to choose from that offer a range of services from niche programs to full-service marketing campaigns. Researching and evaluating that many companies can be very time consuming and often confusing. 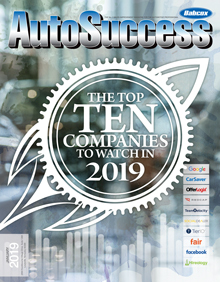 Therefore, we are releasing the Top 10 Companies to Watch in 2019 to help identify the businesses that are leading the industry with innovative solutions. Simply put, Google’s mission is to “organize the world’s information and make it universally accessible and useful.” Without a doubt, Google continues to innovate and drive more technology into the hands of consumers around the world. In a world driven by automation and technology, Google continues to rise above the rest. 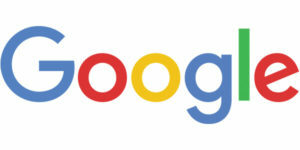 With iconic new products and updates through 2018, Google continues to imprint its dominance in the market. From Google’s personal and hands-free assistant and the Google Home to universal home alarm systems and temperature controls, Google continues to make normal living smart, easy and efficient. As our lives expect more from us, we expect more convenience through our products. It’s hard to sum up all the products Google has released and updated throughout 2018, but if you keep up with the trends, you’ll notice that the demand for video is now higher than ever. By 2020, 82 percent of all consumer web traffic will be from video. The next wave of consumers you will see in the market is a new group called “cord nevers” — those who are now growing up without traditional TV feeds coming to their home. If you are not advertising your dealership using online video, you are missing about 50 percent of your target market and car buyers. Google brings a very targeted solution to a historically unmeasurable medium. CarSaver is now Walmart’s exclusive auto-buying program that leverages relationships with Fortune 500 companies to deliver “one-to-one,” exclusive appointments that close above 50 percent to a hand-selected network of Certified CarSaver Dealerships. Unlike lead providers that charge large fees up front and rely on the efforts of dealers to generate 3 to 5 percent close rates, CarSaver delivers exclusive appointments (one dealer to one customer) that close 10 times higher and that buy in an average of seven days. 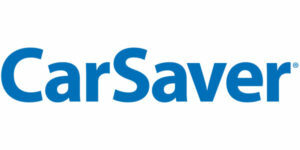 With CarSaver, consumers can find the best new or used cars across a collection of top brands. With dealer-picked prices, consumers can browse payments to finance, lease and insure the car they want. They never have to worry about warranty because all purchased cars come with a lifetime warranty. The best part? It comes at no additional cost to the consumer. Step 1: Fortune 500 companies promote CarSaver to up to 250 million customers. Step 2: Consumers use CarSaver’s mobile app and website to get fair, upfront personalized payments that are set by the dealer. Step 3: CarSaver follows up with customers to schedule an exclusive appointment with your dealership. The best part is that these exclusive appointments are only sent to you and have an average close rate above 50 percent. Bottom Line: Car buying made easy. OfferLogix increases customer engagement by using accurate, compelling and compliant payment options to pull customers deeper into the sales funnel. This patented process evaluates every program offered by every lender the dealership uses to provide customers with the most attractive loan and lease payments on every new and used vehicle in the dealership’s inventory. This allows dealers to display real payments on real vehicles on their dealer websites, social media and throughout their digital marketing without sacrificing profit margins. On average, consumers consider up to six dealerships online but only visit 1.6 dealerships before making a purchase. This means that being the first to engage with a customer can significantly increase a dealer’s chances of making a sale. Therefore, some of the most innovative companies in the industry are using OfferLogix to increase customer engagement and turn more online shoppers into buyers. OfferLogix enables dealers to standardize payment offers and disclaimers across all their marketing channels. This includes inventory search pages, vehicle details pages, banner ads, landing pages and social media platforms. This feature not only increases inventory search but extends the time consumers look at the vehicle details and payments. 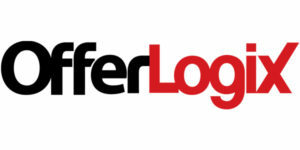 OfferLogix also gives dealers the ability to export compliant lease, loan and balloon offers to third-party advertising agencies so they can be used in direct mail and email campaigns. OfferLogix’s Search By Payment tool allows consumers and dealerships to search new, used and certified pre-owned vehicles, together or separately, based on their desired payment and preferred financing type — lease, loan or balloon. It also allows customers to narrow their searches based on financing term, vehicle color, year, make, model, trim and body style (coupe, sedan, SUV, etc.). This gives consumers the convenience, clarity and transparency they want while giving dealerships an effective new way to engage with consumers without sacrificing profit margins. Digital marketing companies, online sales processes and dealerships across the U.S. and Canada use OfferLogix because it gives them the ability to create compelling lease and loan offers on their new and used vehicles, and standardize their payments and disclaimers across all their traditional and digital marketing channels. With OfferLogix, dealerships can attract more in-market prospects, increase prospective engagement and convert them into profitable, car-buying customers all before they step foot in a dealership. BOTTOM LINE: Attract, engage and convert more customers with real lease and loan payments. According to a 2018 Service Industry Study, two of the top five frustrations consumers have with dealers are related to time spent waiting for service. Time is the most valuable asset a dealer can provide consumers. Dealers who provide consumers the option to enjoy out-of-store experiences are realizing significant gains within fixed operations. Consumers have the option in virtually every other form of commerce today to determine whether they want to visit the store, or enjoy the same benefits out of store. Why can’t they enjoy those same options when servicing their vehicle? Today they can, and that’s through RedCap Technologies. Studies have shown that out-of-store experiences improve customer retention to 92 percent for in-warranty and 85 percent for out-of-warranty customers when dealer location, miles required for consumer to travel for service and time aren’t a customer concern. In addition, customers spend on average an additional $298 per RO when dealers focus on out-of-store experiences. The vast majority of consumers want to enjoy sales and service experiences at the franchise dealer without having to physically visit the dealership. Dealers are expanding their reach far beyond the traditional PMA, and that’s the power of out-of-store experiences such as pick-up and delivery. Did you ever imagine that you could service a vehicle of a customer who lives and works 20-50+ miles away from your dealership? Dealers today are expanding their reach through RedCap Technologies. 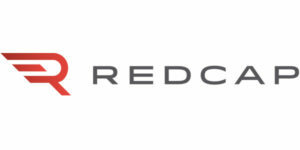 RedCap is a purpose-built platform for auto retailers that delivers a seamless and branded experience to customers — whether they prefer to work with you on-site or off-site. RedCap integrates with your DMS for quick booking and powerful reporting. As you book service appointments, complete service tickets or have a customer on the line for a test drive, the RedCap system delivers your customer a branded, personalized in/out-of-store experience using your store’s processes and rules. The platform also offers Lyft integration, which incorporates Shuttle OnDemand, Parts OnDemand, Roadside OnDemand and Lyft Credits. Shuttle OnDemand is enabling dealers to eliminate costly shuttle vans, reduce loaner fleets and wean reliance upon rental cars. Shuttle OnDemand is available with no set-up, no monthly subscription, no minimums and the dealer determines the spend. BOTTOM LINE: Changing the way customers experience “Out of Dealership” purchases and services. 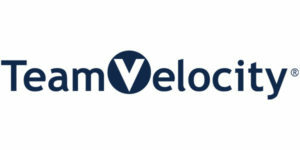 Team Velocity is revolutionizing the automotive industry with cutting-edge technology and artificial intelligence to help dealers sell and service more cars. Made by dealers, for dealers, Team Velocity’s proprietary technology platform Apollo analyzes years of sales and service data to predict who will buy, what they will buy and when they are ready to service. Apollo eliminates the risks of traditional marketing techniques by utilizing sophisticated artificial intelligence (AI) that generates dynamic, offer-based campaigns through omni-channels including search, display, social, pre-roll, email, text, direct mail, personal websites and landing pages. Apollo eliminates the need for multiple platforms by combining everything into one easy-to-use, automated platform that reaches each dealership’s perfect prospects with a consistent message across all marketing channels and is the only platform that runs automatically 24/7, producing hyper-personalized, payment-based ads on real inventory. Designed to support the automotive retail industry, Apollo and Team Velocity’s suite of capabilities successfully increase revenue and efficiencies for both dealerships and original equipment manufacturers (OEMs). BOTTOM LINE: Predict, track, sell and service more customers. SOCIALDEALER is the original social media advertising agency designed for the automotive industry and currently located in Scottsdale, Arizona, and Washington, DC. They are among the first agencies in automotive to have an entire certified Facebook Blueprint team. Blueprint is the most prestigious and difficult certification to attain for social advertising. All SOCIALDEALER account managers go through extensive training and testing so that you can trust your store’s social is in the best hands. 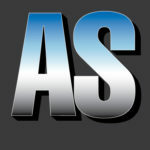 As the social experts, SOCIALDEALER offers the highest quality social services in the automotive industry that include: Facebook Advertising, Dynamic Ads for Auto, Facebook Marketplace, Social Media Management, Reputation Management and now Cause Marketing. SOCIALDEALER was founded in 2008 by a group of automotive industry professionals who, in a challenging economy, realized the need for revolutionary auto dealer marketing in order to evolve profitably. 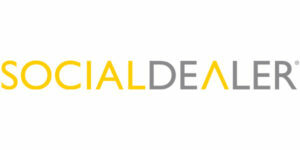 Today, SOCIALDEALER is a Facebook Partner for marketing strategy, planning and campaign technology. They implement the latest Facebook Advertising Best Practices for automotive. SOCIALDEALER helps dealers communicate with their customers in real-time, directly targeting new in-market shoppers/buyers, and deliver a consistent marketing message. Through the use of social advertising, dealerships can build their businesses and engage with customers while driving dealership customer retention and loyalty. Experience the ROI of becoming a true social dealer with SOCIALDEALER. Bottom Line: Don’t trust your social advertising to anyone who isn’t certified. 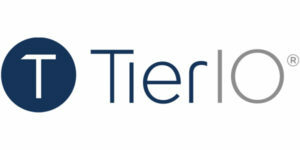 Located near Washington, DC, with offices in New York and Miami, Tier10 is a full-service advertising agency specializing in Tier 2 automotive. Founded in 2008, the agency has worked with some of the largest dealership groups and dealer associations in the country. In 2014, Tier10 made the business decision to focus exclusively on the Honda and Acura associations. Since then, Tier10’s custom, regionally tailored creative combined with their digital and data-driven marketing strategies has allowed its clients to successfully increase market share and raise industry standards. The agency’s strategy continues to drive results for its associations, including, but not limited to, the Greater Twin Cities Honda Dealers, who have outperformed the zone (7.65 percent+) and the nation (4.22 percent+) for the two years they have been with Tier10, and the Northwest Honda Dealers, who have enjoyed a 5-percent year-over-year increase in the zone and a 4-percent increase in the nation. Most recently, the Gulf Coast Honda Dealers chose Tier10 as their Digital Agency of Record. Tier10’s marketing efforts, creative quality and innovation have gained recognition from the industry and national media outlets, including Automotive News, Motor Trend and The Wall Street Journal. In 2016, Tier10 was featured in Automotive News’ print and online editions for its use of CGI in automotive ads and for “Believe in the Land,” an inspiring commercial filmed for the Northern Ohio Honda Dealers during the 2016 NBA Finals that aired in the region before Game 7. Tier10 has also received recognition from creative award programs including the Muse Creative Awards, Hermes Creative Awards, Telly Awards and AVA Digital Awards. Fair is the alternative to traditional car buying, allowing customers to browse, shop and rent cars all from the palm of their hand. The difference? Fair allows users to select the best high-quality, pre-owned and certified vehicles with personalized payments tailored their specific income and budget. Fair users can experience the joys of a new car with no long-term lease, loan or commitments. 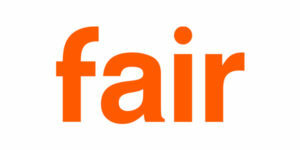 With Fair’s mobile app, users can set budget constraints, apply and get approved all in one day. All vehicles are certified and come with warranty, maintenance and assistance options. Customers can shop over 30 different brands with vehicles ranging from zero to six years with less than 70,000 miles. Fair connects top dealerships with customers, and once a customer signs up for a vehicle and sets a payment plan, the team at Fair coordinates a delivery or pick up most convenient to the customer. 1: Fair connects to your dealership’s inventory feed, offering real vehicles and real payments to potential car renters. 2: Fair offers your pre-owned cars at low monthly payments with no long-term commitments to your customers. 3: Customers can swap or return any car within a five-day notice. 4: Customers can schedule service, meet and interact with your dealership all from the app, allowing you to retain, maintain and build long-lasting relationships. 5: Fair doesn’t cost a thing. Apply online and sign up your dealership today. BOTTOM LINE: The future of car ownership. Facebook is the nation’s largest social media networking site that makes it easy for individuals, companies and organizations to connect and share with family, friends and their community. 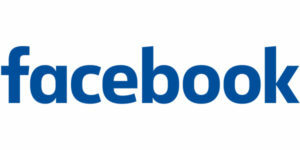 Today, Facebook holds over 1 billion users worldwide. In addition, Facebook makes it simple and easy for dealerships to capture lead information from prospective car buyers. Car buyers can locate dealer information, schedule appointments, request inquiries, schedule test drives and more. BOTTOM LINE: The NEW way to connect with car buyers on and off the lot. Hireology is a powerful platform that helps retail companies across the nation build their best teams with confidence. Hireology aims to manage employees from beginning to end. They offer an array of services including custom-built career sites, payroll configuration, electronic storage, compliance and more! With Hireology, Talent Acquisition and Human Resources no longer need to subscribe to individual one-off job boards. Their unique platform creates optimized job descriptions and posts to reach national job boards, ensuring that your team successfully attracts the best candidates for the right position. Hireology takes the stress out of hiring and managing employees by standardizing content, process and communication. BOTTOM LINE: Source, select and verify candidates all in one place.